The only good thing I have to say about hurricanes is that they give you plenty of warning they’re on their way. Otherwise, they’re jerks. They slam you with crazy winds, torrential rainfall, dozens of inches of rain, massive property damage and even deaths — and then wander off like nothing ever happened. You could say I’m not a fan! After Hurricane Harvey arrived in my town last year, August, 2018, I learned that the actual hurricane is only the first step to surviving it. Even now, almost 13 months later, many people are still not back in their flooded homes and dozens of businesses have yet to reopen. Some never will. Geralyn: Take photos of your expensive belongings. Insurance is a pain even when you have it because they don’t want to pay out. They will depreciate everything so even small things are important. Sharion Lee: Be kind & have compassion for one another. Check on NEIGHBORS & FAMILY. David: Pick up and move everything that’s on the floor, particularly in closets and under beds. It’s a mess to clean up when it’s waterlogged, muddy or molded. Tyna: Meds, pets, water, food, pet’s food flashlight, batteries, important papers, anything you can get off the floors do so, now is the time to get ready, fill up vehicles with gas have cash in case ATMs aren’t working. Odalys: Get all your important papers! Clothes and food and get out. If you cannot get out, a generator will be a lifesaver and gas in your car, so you can move out if you need too. God blessed and good luck. Scott: Use a Sharpie Marker and write your info on your pet in case you get separated — their name, your name, phone number. Collars and tags can fall off. Tracey: Do not wait until last minute to evacuate! Take important papers! Take pictures of belongings on phone! Take pets! Take medication! Nannette: Put all important papers in zip lock bags. Anything you want to preserve from mold spores in air tight bags. Move whatever you can upstairs. And leave well beforehand if possible. There may not be power or access to grocery stores for several days. Here are instructions for making a Grab-n-Go Binder with all your important documents. Sarah: Take everything you want to save to the second story, if you have one, otherwise try and get important stuff into an attic. Take all important papers and pets with you and leave town. Shut off your electric panel before you leave. Take photos and a movie of every cabinet and drawer before you leave, for insurance purposes. TIP: Also take pics of your home’s exterior to document wind/rain damage to your home, garage, fencing, etc. Lauren: I would say to be cautious about moving all valuables upstairs. I would either put them as high as possible on the first floor or spread valuables between both floors. The reason is that this storm (unlike Harvey was for Houston) will be both a rain and a wind event. Storm surge will flood homes, yes, but wind and falling trees will pull roofs off and expose the upstairs to the elements. Both risks have to be considered. Teresa: Have cars are full of gas, food bought, prescription filled, extra water on hand, flashlights and batteries located and camping stove ready for cooking. I’m praying for everyone. Bridget: Pull cash out. If you don’t have power, you can’t use your credit cards. Debbie: Prepare a go bag for quick escape if you are starting to get water in your home. Put as much of your important belongings up high as u can safely. And be kind to others if you can help them when waiting for someone to rescue you. My own additional tip, if you have to evacuate, bring along electric cooking devices like an electric skillet, Instant Pot, rice cooker, or crockpot. You may find yourself staying in a hotel for weeks or even months, or other locations where you’ll want to cook meals, even occasionally. 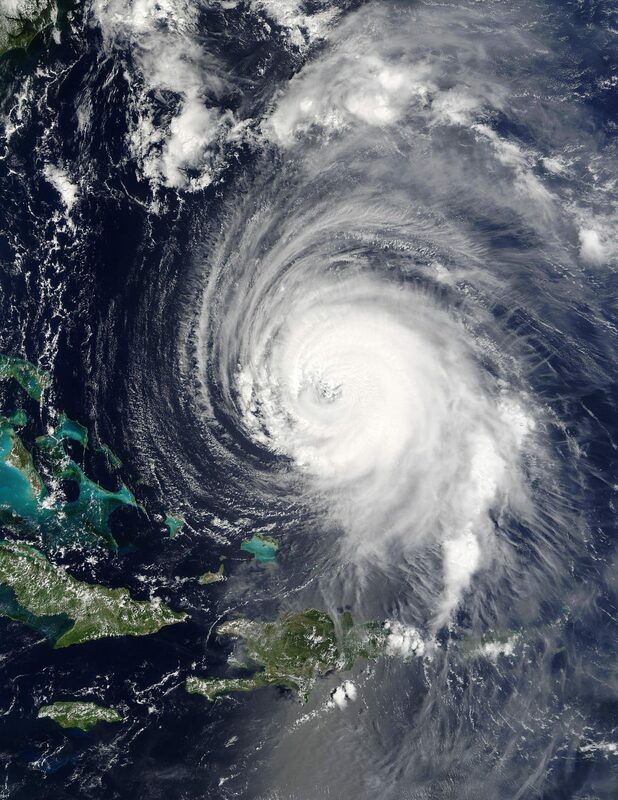 Here is a collection of the resources on this site to see you through hurricane season. How are Looting and Scavenging Different? Locate lifejackets for all members of the family. Also have a rope ready in case you need to wade to a safer location. Waterproof or floating flashlights are a must, and every Walmart sells them. Download an app that lets friends and family know your status. Please don’t desert your cats snd dogs! While recovering from the storm, make sure everyone takes vitamins, particularly c. Don’t wade barefoot in flood water. Focus on problem solving, not rehashing what just happened. Stay positive and proactive. Make sure you microchip your animals in case their collar is lost and make sure the information is up to date. I recommend stocking up on all of your hurricane supplies in June or July at the latest. Buying your bottled water, non-perishable food, batteries and extra gas at the beginning of Summer will ensure that you have these supplies when you need them. All of these “emergency” supply items will disappear from store shelves days before the storm actually arrives. Rotate your supplies throughout the Hurricane season and you always ready. We always keep a case of bottled water (3gallons) in the garage for each member of my family. We use them as needed but maintain the supply. Fill the bathtubs with Water before the storm. If you have a well you probably will not have Water hen the power is out. We live inland where flooding is not an issue and we usually do not evacuate. However, we routinely experience power outages after hurricanes. The longest, so far, is three weeks. Do not use candles for light, beside the fire hazard, they add heat to your home which will soon be a humid 90 degrees after the storm. Gas is always hard to get staring about two days before and upto a week or two after storms. Remember to Charge the batteries on all of you power tools before the storm. Most power tool brands offer flashlights and radios that will run for days on a single charge. You should do this at least a day or two before the storms predicted arrival. Last year we lost power a full day before the landfall was predicted. After the storm. Check for potential hazards around you home such as downed power lines, trees that are leaning but have not fallen, dangeling limbs. Trees can fall days after a storm, do not let the kids play around these hazards. Cleaning up the easy stuff can help release the stress you expirenced for the last 24 to 48 hours. But don’t over do it. Take your time and pace yourself. Without power and running water your house will become very unpleasant two days after the storm. If you have family and or friends that have power it might be a good idea to send the kids to stay with them. If you evacuated from an area what at least 48 hours before you try to come home. Check with local authorities to find out about damage, power outages and gas supplies. If you come home too soon you are just clogging up the highways and preventing emergency workers from doing their jobs. Lastly, things get better but it takes time. Usually weeks if you have no damage and months if you do. So be prepared for the long haul.